La Orquesta Internacional “RUMI ENSEMBLE” llega a Madrid para actuar en el Teatro Infanta Isabel , el martes 12 de Noviembre en el marco de su gira europea 2013; presentando una serie de obras inspiradas en la poesía del gran Maestro y Poeta Sufí YALALUDIN RUMI (siglo XIII). Su formación está integrada por prestigiosos músicos que pertenecen a diferentes tradiciones culturales (Persa, Europea) que junto a la extraordinaria voz de MOHAMMAD MOTAMEDI (Cantante solista de la Orquesta Nacional de Irán) y dirigidos por el compositor e interprete innovador del Santur JAVID AFSARI RAD (Compositor del año 2007 y Artista del año 2008 en Noruega ) crearán un concierto inolvidable. Santur, ney, laúd, tonbak, daf, kuze son los instrumentos persas que llenan nuestros sentidos con su particular cadencia en los conciertos del Ensemble, acompañados por otros instrumentos de la Música Clásica como violín, viola, chelo y contrabajo. Las piezas e improvisaciones basadas en la música tradicional iraní, brotan de un espacio de amor e inspiración, un lugar donde el alma encuentra con el amado. 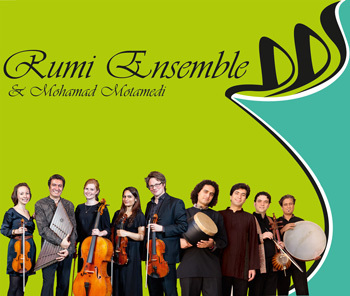 The International Orchestra “Rumi Ensemble” arrives in Madrid to act at Infanta Isabel Theatre, on Tuesday at 21.00, November 12 as part of its European tour 2013, presenting a series of works inspired by the poetry of the great Iranian Sufi Master and Poet YALALUDIN RUMI (XIII). Javid Afsari Rad was born in Isfahan, central Iran, in 1965. 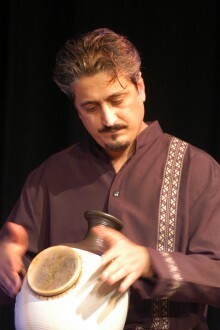 His mentor on the santur, a traditional Persian i nstrument, was Saeed Naeemi Manesh. Later he was introduced to Radif, the Persian classical music repertoire, by the masters Parviz Meshkatian and Faramarz Payvar. His studies led him to Norway, where he graduated from the University of Oslo in the field of Musicology. As a musician and composer, Javid is highly inspired by the mysticism in Rumi’s poetry. Rhythm is a vital element which reflects the ecstatic philosophy of the sensually divine thirteenth century poet Rumi, and Javid’s compositions are an endeavor to honor and communicate the great vitality and energy seeping out of Rumi’s mysterious poetry. As a composer, Javid Afsari Rad received the Norwegian KORK award in 2007 for his commissioned work with the Norwegian Radio Orchestra. The prize is awarded to an established artist who is viewed as an innovative and essential contributor to orchestral and musical life. 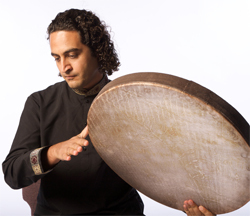 Together with the ney, percussion, oud, string quintet, and vocals, Javid creates masterful performances with his fellow artists, ranging from soft heartfelt moments to the exhilarating joyful state of musical enchantment pivotal to the Sufi’s dance. 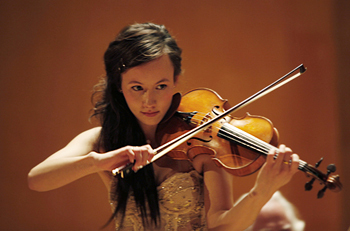 Violinist Sara Övinge, born in 1988 in the Swedish city Norrköping, is considered one of Scandinavia’s most talented young musicians of today. She started taking violin lessons at the age of four and made her first appearance as soloist with Norrköping Symphony Orchestra at six. In the autumn of 2010 she embarked on her Artist Diploma in Performance at the Royal College of Music in London. Sara Övinge has appeared as soloist in various European countries and has received numerous grants, awards and prizes. She has considerable experience as soloist with orchestras such as the Nordic Youth Symphony Orchestra, Royal Norwegian Navy’s Band, Bergen Philharmonic Orchestra, the Norwegian Radio Orchestra and Gothenburg Symphony Orchestra. 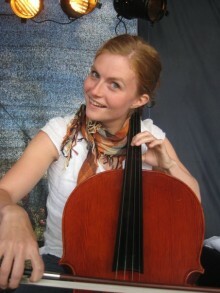 Tove Margrethe Erikstad is a Norwegian freelance cellist based in Oslo. She has studied under supervision of Prof. Truls Mørk and graduated from Norwegian Music academy in 2009. She has collaborated with well known orchestras such as the Norwegian Radio Orchestra, Bergen Philharmonic Orchestra and the Norwegian Opera. She is also a member of the Telemark Chamber Orchestra, and has performed with divers contemporary ensembles in Norway. She also works as a pedagog at Bærum Kulturskole in Norway. Masa Zivkovic,born in 1981 in Belgrade, Yugoslavia, actually lives in Oslo. She has finished her Master studiesin solo viola in Norwegian Music academy in 2009.
ic Orchestra, Oslo Baroque Orchestra, Norwegian Chamber Orchestra, Belgrade Philharmonic Orchestra , Kristiansand Symphony Orchestra, Nordnorsk Symphony Orchestra. She has won the 3rd prize in 1999 in Italy, Pietra Ligure, international competition for all instruments and the 2nd prize in 1999 in International competition for strings. 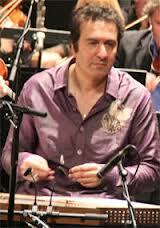 Born in 1975, Tehran, Sina Jahanabadi is graduated from Secondary Music School and University of Art of Tehran. He studied Kamancheh with the masters such as Davoud Ganjey, Aliakbar Shekarch, Kamran Darougheh, Ardeshir Kamkar. 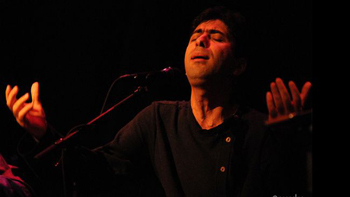 He has cooperatedwith Ava, Shahnaz, Mowlavi, Bahar, Vaziri ensembles and renowned vocalists such as MohammadReza Shajarian, Shahram Nazeri, Hengameh Akhavan, Iraj Bastami, and Homayoun Shajarian. He participated in recording and performing numerous albums with the named musicians, along with the Mastan Ensemble and Parvaz e Homay in international festivals. Born in 1977 in Chahar Mahal, Bakhtiari, Iran, Reza Samani began studying the tombak with his brother Behnam Samani at the age of eight and later became a student of D. Samani. By the age of twelve he picked up the sorna and later the neyanban and the daf. In 1999 he traveled to Germany to collaborate on a project with the Ensemble Samani, thus beginning his professional career and residency in Germany, where he has pursued the study of music and world percussion. 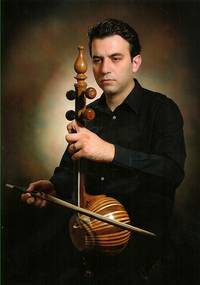 Reza has performed concerts and participated in numerous festivals throughout Europe with the Zarbang Ensemble and the Ensemble Samani. He teaches tombak and daf in Cologne, along with workshops throughout Germany.